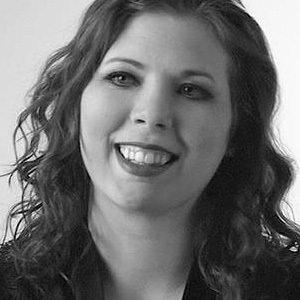 With college, a full-time job and an upcoming wedding to plan, Brooke Vitense had the hectic life of an average young woman in her twenties. But a chance discovery one morning would completely upend her normal life. 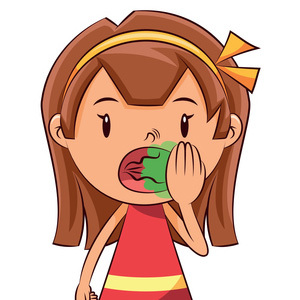 That morning Brook noticed white spots on the underside of her tongue while brushing her teeth. Not long after, she pointed out the spots to her dentist during her regular dental checkup. He recommended having the spots biopsied, just to be safe. She needed a wisdom tooth removed, so she scheduled the biopsy with her oral surgeon to coincide with the tooth extraction. She soon forgot about the biopsy — until her dentist contacted her about the results. The lesions were pre-cancerous: he recommended she have them and a portion of her tongue removed surgically as soon as possible. She underwent the procedure, but that wasn't the end of her ordeal. The follow-up pathology report indicated cancerous cells in the tissue excised during the procedure. To ensure elimination of any remaining cancerous cells they would need to remove more of her tongue as well as the lymph nodes from her neck. Brooke survived her cancer experience and has since resumed her life. Her story, though, highlights some important facts about oral cancer. Oral cancer is life-threatening. Although cases of oral cancer are rarer than other types of malignancies, the survival rate is low (50%). This is because lesions or other abnormalities are often dismissed as simple sores. Like any cancer, the earlier it's detected and treated, the better the chances for survival. Anyone of any age can develop oral cancer. While most cases occur in older adults, young and otherwise healthy people like Brooke are not immune. It's important for everyone to make healthy lifestyle choices (good oral hygiene and nutrition, moderate alcohol use and avoidance of tobacco) and see a dentist whenever you see an abnormal sore or spot in your mouth. Regular dental checkups are crucial for early detection. Had Brooke not seen her dentist soon after discovering the spots on her tongue, her survivability could have been drastically lower. Regular dental visits (and cancer screenings if you're at high risk) could mean all the difference in the world. As permanent teeth gradually replace primary (“baby”) teeth, most will come in by early adolescence. But the back third molars—the wisdom teeth—are often the last to the party, usually erupting between ages 18 and 24, and the source of possible problems. 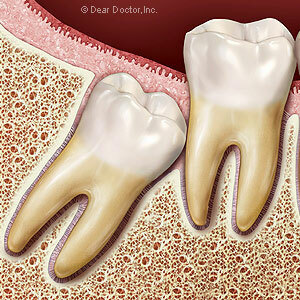 This is because the wisdom teeth often erupt on an already crowded jaw populated by other teeth. As a result, they can be impacted, meaning they may erupt partially or not at all and remain largely below the gum surface. An impacted tooth can impinge on its neighboring teeth and damage their roots or disrupt their protective gum attachment, all of which makes them more susceptible to tooth decay or periodontal (gum) disease. Impacted teeth can also foster the formation of infected cysts that create areas of bone loss or painful infections in the gums of other teeth. Even when symptoms like these aren’t present, many dentists recommend removing the wisdom teeth as a preemptive measure against future problems or disease. This often requires a surgical extraction: in fact, wisdom teeth removal is the most common oral surgical procedure. But now there’s a growing consensus among dentists that removing or not removing wisdom teeth should depend on an individual’s unique circumstances. Patients who are having adverse oral health effects from impacted wisdom teeth should consider removing them, especially if they’ve already encountered dental disease. But the extraction decision isn’t as easy for patients with no current signs of either impaction or disease. That doesn’t mean their situation won’t change in the future. One way to manage all these potentialities is a strategy called active surveillance. With this approach, patient and dentist keep a close eye on wisdom teeth development and possible signs of impaction or disease. Most dentists recommend carefully examining the wisdom teeth (including diagnostic x-rays and other imaging) every 24 months. Following this strategy doesn’t mean the patient won’t eventually have their wisdom teeth removed, but not until there are clearer signs of trouble. But whatever the outcome might be, dealing properly with wisdom teeth is a high priority for preventing future oral health problems.